Phyllis Naidoo was born in Estcourt, Natal (now kwaZulu-Natal) on the 5 January 1928. She was the daughter of Simon David, a teacher and principal. His occupation prevented him from being politically active but he was a ‘Methodist agnostic.’ As a result there were many interesting debates in the house and Phyllis developed a questioning attitude. From her early years her experiences did not allow her to simply take things for granted. When she was ten years old, her father took her to an Institute of Race Relations Conference in Pietermaritzburg at which she was to serve tea. At the meeting someone asked her to go and call the boy. She went outside and when she asked for the boy a very dignified, traditional Zulu woman confronted her. “The boy you want is my husband.” The woman’s regal presence made Phyllis realise that she had given tremendous offence and she was mortified. She was so upset that she sobbed hysterically for a long while afterwards. This incident awakened her, more than any event or speech at the meeting, to the evils of racism. In 1944, when she was in Standard Nine (Grade Eleven) at Woodlands High School in Pietermaritzburg, Natal, Mr H.W. Stead a teacher at the school, called Tsetse Fly by the pupils because he was always falling asleep, was actually the person who helped develop in Phyllis a strong sense of community service. He got the students interested in the Friends of the Sick Association (FOSA) that had established a care centre and home for TB patients. Mr Stead asked the students to make clothes for the children of these sick people. During that time Phyllis working with a Women’s Association was also involved in making her contribution to the war effort – knitting socks for soldiers. After she matriculated from High School in 1945, the family moved to Tongaat. Phyllis astounded her family when she went to work at FOSA. The NEUM was not a party, it did not believe in party politics and the kind of action undertaken by the African National Congress (ANC), Communist Party of South Africa (SACP) and other parties. But it condemned the arrests in 1956 of a hundred and fifty-six people for treason.When Phyllis read in the Natal Mercury report of the arrests of Dorothy Shanley and Errol Shanley, members of the SACP, parents of three young children Nigel, Di and Roz, she decided she had to take an active part in bringing about change. Phyllis, a teacher, by day, and an evening-class student at Natal University (Non-European section) organised a Human Rights Committee at University and helped to raise fund for the Treason Trialists and their families. At the time Phyllis was teaching and at the same time studying at the university. She helped to raise funds and assisted MN Pather who organised dinner-dances and other activities to raise money for the support of the people on trial and their families. She was also involved in attending to the banished persons in Natal with Eleanor Kasrils, Theo Kloppenberg and others. Phyllis was previously married to Willie Joseph and they had a son, Nersen. The marriage did not last long and Willie left for the United States of America. Nersen spent much time at Phyllis's parents’ home in Verulam. At the age of ten, he went to visit his father in the USA and never came back to South Africa. In the mid-70s when Nersen would have been in his 20s he began telephoning her in Durban and would have long conversations. When Phyllis and her daughter, Sukhthi were in exile Lesotho, Nersen wrote a letter to Phyllis which he sent by mail. At the time every item that came to Lesotho was scrutinised by the South African security agents. In this letter he told his mother that he wanted to join Umkhonto weSizwe (MK) and wanted her to facilitate such a move. A meeting was called to discuss this issue. Among those present at this meeting was the late Chris Hani. There was a big debate and it was decided that Nersen probably was an American plant. The meeting decided that Phyllis should break all contact with him. Nersen then set off for West Africa where he joined Charles Taylor’s (President of Liberia) army and perished there in the mid-80s. Phyllis joined the Natal Indian Congress (NIC) where she met Nandha (Steve) Naidoo, George Sewpersadh, Dr Randeree and MD Naidoo and became involved in writing speeches for her comrades. In 1958, she married MD Naidoo, a committed member of the South African Communist Party (SACP), and in 1961 she joined the SACP. She also began working with Dorothy Nyembe, Florence Mkhize and Moses Kotane who were challenging the Bantu Education Act that had effectively lowered the standard of education for African people: the matriculation (Std Ten) was reduced to Std 6 level. It was in this cause that she made her first political speech at the YMCA in Beatrice Street. In 1958, she also began working with her husband, MD and Govan Mbeki in aiding people working in the underground. They made deliveries and helped those in danger to get out of the country. She, herself, took Moses Mabhida and two other comrades to Newcastle when they were making their way out of South Africa. In 1961, after the banning of political organisations, Umkhonto weSizwe (MK) came into being. At this time Billy Nair, a trade unionist and a member of MK was on the run from the police and she helped to hide him from their attention. Though she had tried to remain behind the scenes, Phyllis’ association with political leaders had exposed her. She organised and delivered food parcels for people who were banished to remote areas by the Apartheid government. Phyllis's flat in Durban was a meeting place for many who were actively invovled in the liberation struggle. When Chief Albert Luthuli was awarded the Nobel Peace Prize in 1961, Moses Kotane, Duma Nokwe and Govan Mbeki, together with Phyllis jointly wrote the initial acceptance for the Chief. Phyllis was banned in March 1966. In 1967, MD was charged and sent to prison on Robben Island. His detention together with her banning left her destitute. She could not work and had to depend on friends and family for welfare assistance. George Singh, Jay Singh and Dhanpal Naidoo helped regularly. Mrs Konar, a relative of MD’s, went round to factories collecting pieces of material for sewing and she was able to earn a little from this. When she received a message from Jack Govender’s wife that she should leave the country, she realised that Govender had cracked under torture in detention. A senior Security Officer observed that ‘MD was one coolie they could never crack.’ Phyllis could not leave the country by ordinary means; she had never been able to obtain a passport because of her political involvement. She went to Johannesburg where she sought advice from Bram Fischer as to whether she ought to go into exile. She continued her work in the underground assisting comrades to flee into exile and providing support for their families and those of detainees. Her banning orders were renewed with house arrest until 1976. During the ten-year period of her banning, her home was raided fourteen times. When Phyllis was placed under house arrest, she began to study law. She qualified as a lawyer in 1973 but could not practice, as she was not allowed in court. Finally, her banning order was lifted in 1976 and she set up her practice. One of the people Phyllis defended was Harry Gwala of the SACP who was tried for treason and sentenced to life imprisonment. People who had been released from Robben Island gathered around Phyllis, who tried to find employment for them following their return home. Many could not find work because people were afraid to employ ex-politcal prisoners. At one stage, she had five ex-Robben Island detainees as messengers at her law firm. Among these was Jacob Zuma, now President of South Africa. The only option for these men was to flee the country. With the help of Joseph Nduli, she established a new escape route to Swaziland and her comrade, Shadrack Maphumulo was able to take many out of the country safely. On 23 July 1977, Phyllis escaped to Lesotho as her underground comrades were detained, along a new route established by Omar Badsha, Rick Turner and others. Here she joined the African National Congress (ANC) and was involved in welfare work: providing for children who had left South Africa, assisting members of the SACP and ANC to escape from South Africa and providing them with support in Lesotho. At the time, Phyllis was working with the Rev John Osmers. In 1979, a parcel-bomb was sent to Rev Osmers and when he opened it, his hand was blown off and Phyllis and four others were seriously injured. While in Lesotho, Phyllis was the Chief Legal Aid Counsel for the Lesotho Government but was forced to leave Lesotho in 1983, when South African air strikes against Lesotho began and all its twelve borders were closed. South Africa wanted her out of Lesotho and warned the Lesotho Government she would be killed. She had twenty-four hours to make her escape and on 9 September 1983, Phyllis fled and months later arrived in Zimbabwe. Despite more air strikes, she remained in Harare for seven years where she continued her political activities for MK, wrote speeches for comrades, taught at the Law Department of the University of Zimbabwe and helped people from South Africa find solutions to problems. She was actively involved in campaigning against the abuse of power by the apartheid government. She was particularly concerned with the prisoners, both political and criminal, on death row. phyllis wrote Waiting to Die in Pretoria, which decried the inhumanity of capital punishment. She also put out a publication Le Rona Re Batho: An Account of the 1982 Maseru Massacre. In 1990, she returned to South Africa from exile and immediately went to visit prisoners on death row and Robben Island. 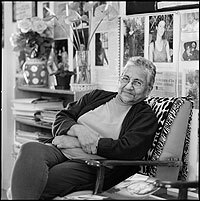 Phyllis continued to write and was engaged in recording the history of the struggle as she experienced it during her time in the country and in exile. In 2003, the South African Government conferred the Order Of Luthuli In Silver on Phyllis Naidoo for her outstanding contribution to Human Rights and the struggle Against Apartheid. Phyllis Naidoo passed away on 13 February 2013 in Durban, kwaZulu-Natal. She is survived by her daughter, Sukhthi. Her other two sons, Sadhan (was assassinated by a South African agent in Tanzania where he was in exile) and Sha are late. 1990. Waiting to Die in Pretoria. Durban: P. Naidoo. 1992. Izinyanya: A Millenium Diary in the Year of Older Persons. Durban: P. Naidoo. 1992. Le rona re batho. Durban: P. Naidoo. 2002. Footprints in Grey Street. Durban: P. Naidoo. 2006. 156 Hands that built South Africa. Durban: P. Naidoo. 2007. Footprints beyond Grey Street. Durban: P. Naidoo.